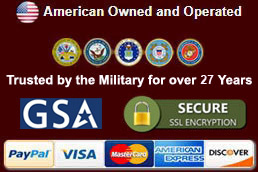 Bowie Knives for sale are available with a variety of handle designs. These fixed blade knives feature a traditional bowie blade with a standard edge, brass accents and include custom leather sheaths. Buy these popular bowie knives all on sale now. Survival Bowie Knives for sale are 16 inches in all. These popular knives feature a traditional bowie knife design, with a fixed 10 ½ inch stainless steel standard edge blade. The brown colored Spanish Pakkawood hardwood handle is flanked by a brass guard and a brass end cap. These bowie knives include a custom leather scabbard that features a snap closure. 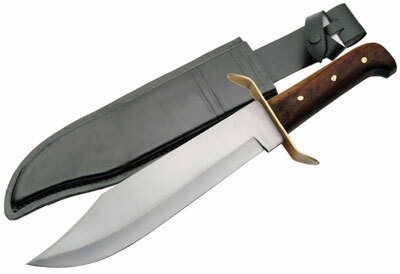 Buy the popular Survival Bowie Knife for $24.99. Classic Bowie Knives for sale are 15 inches in all. These knives feature a classic bowie design with a wooden handle and a brass guard. The 10 inch stainless steel bowie blade has a standard edge. The brown hardwood handle is accented by brass pins and shows the strip of the full tang blade through the side. These bowie knives include a black leather scabbard that has a top snap closure. Buy the Classic Bowie Knife for $24.99. Western Bowie Knives for sale are 18 inches in all. These large bowie knives feature a 13 inch traditional bowie blade and a hardwood handle. The blade features a standard edge and is accented by a brass top strip. The brass guard is topped with a brass spacer. The customer high grade leather scabbard is embossed with a flower design and features a top snap closure. Buy the popular Western Bowie Knives for $29.99. Frontier Bowie Knife for sale is 15 inches in all. 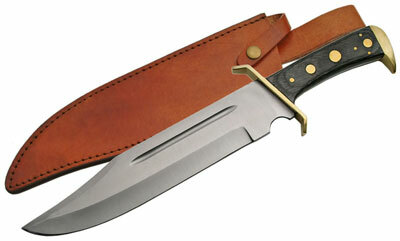 The Frontier features a classic bowie blade and a brass guard. 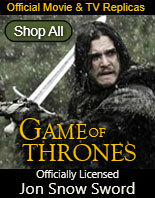 The 10 inch carbon steel blade features a standard edge. The bone handle is flanked by an engraved brass pommel and engraved brass near the guard. The brown leather sheath features heavy stitching and a snap closure. 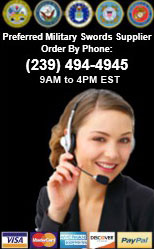 Buy the popular Frontier Bowie Knife for $29.99. 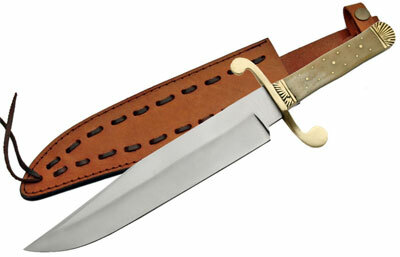 Sable Bowie Knives for sale are 16 ½ inches in all. 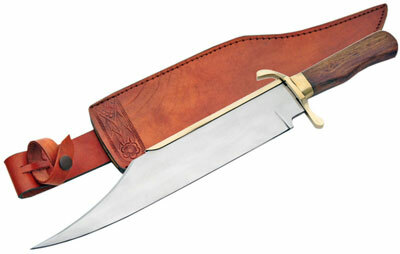 The large Sable Knife features an 11 inch full tang stainless steel bowie blade with a standard edge. The black Pakkawood handle has brass accents. The handle is flanked by a brass hand guard and a brass pommel. The brown leather custom scabbard has a convenient snap closure. 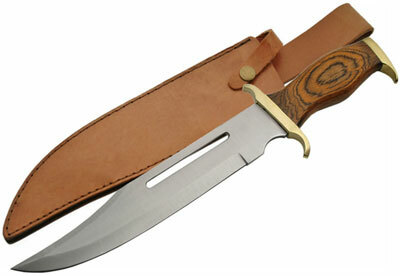 Buy the Sable Bowie Knife for $39.99. 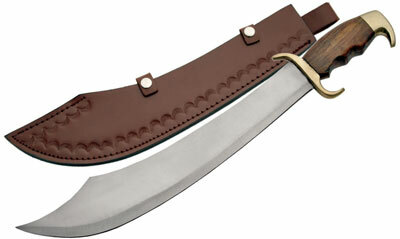 High Seas Saber Knife for sale is 17 inches in all. 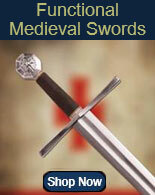 These High Seas Saber Knives feature a curved scimitar style blade. The 13 inch blade feature a standard edge. The wooden handle features a comfortable finger groove design. The handle is flanked with a polished brass hand guard and a polished brass pommel. The brown leather scabbard is embossed with a scallop design and features two closure snaps. 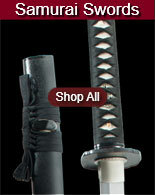 Buy the popular High Seas Saber Knives for $39.99.